Unsurprisingly for a branding and design house, we are often asked about the best ways to build a great a great brand? But more often than not and with the sincere desire to be helpful – we’ll say to people that they probably already have a great brand story and it’s just a case of bringing some more of it to life. And yes, tag lines do make a difference. But it’s the small intangible things that really make a difference and most of the time they’re already there. Its the stories of great customer experiences, examples where staff went above and beyond, particular achievements, values that you live up to every day, ways that you do things that are unique to you, products that make a difference. Everybody has these and they are the building blocks to that great brand that you want to build. Creating great brands is less about set-piece activities and more about capturing the spirit of the organisation. 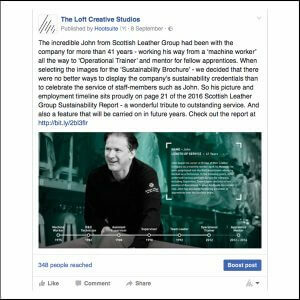 While compiling The Sustainability Report for Scottish Leather Group in 2016. 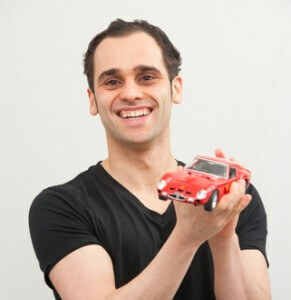 (An easy task because Scottish Leather Group have outstanding sustainability achievements.) We completed a special feature on the sustainability of the workforce of Scottish Leather Group companies. John from Scottish Leather Group was celebrating more than 41 years of Service and Social Media definitely appreciated it. As we found – at the heart of Scottish Leather Group’s sustainability achievements was the retention of their staff where they have a tremendous record. One page of the report featured John – one of their operators, who began working with the company in 1975, we recorded a timeline of his service showing how he started as an apprentice and is now helping other apprentices. What was incredible was that we shared this image as a piece to show what the loft could do on LinkedIn and we were inundated with comments and likes each celebrating and congratulating the well-deserved success of a Scottish Leather Group employee. It shows how the small things can truly make a difference. A wonderful piece of brand storytelling for Scottish Leather Group and something we still get asked about today. It is the small things that bring a tender to life, makes a presentation memorable and helps a company to build a reputation. Bring your culture to life and you’ll bring your brand to life and the best bit is that for most of you – it’s already there. Social media is quite possibly be the most important part of a company’s brand presence nowadays. Getting likes, being seen and having people engage with you can radically transform your company’s marketing success. A coherent, joined-up and ideas-led social presence will help you attract more clients, staff that share your values and new supporters from all over the world. This is the power of social media. At the loft, we love social media. We love sharing details of our work, the way we help our clients and also some of the interesting things we get up-too in our studio. We use social media a lot and have therefore picked up some gems that we apply regularly and despite there being many more technical guides online we thought we’d put our feet right in the shoes of those that post on social media to share 10 quick ways to optimise your social posts. Before posting, always think… ‘What am I trying to say?’ This is important. Every post says something, consciously or sub-consciously, about your brand. What are we trying to say about ourselves or what we value with the post? We are helpful? We are qualified? We have more experience? Our service is faster? Marketing is the communication and sharing of values and culture in an interesting way. Make sure what you are sharing displays the values you want it too. As a rule of thumb, the majority of social posts should be sharing something positive! It should be something which people want to read. You have the opportunity to present the best side of your company, your products, your services, your team. Whether it is a client testimonial, something altruistic your team has done in the community or just sharing a very positive benefit of one of your services – more positive posts get more likes and therefore capture the attention of others. However, more than being positive, consider whether what you are saying aligns with the culture your company is promoting. Doing this will help you be more authentic. Fun posts for fun companies, highly technical posts for highly technical companies, posts about ‘innovation in sustainability’ for companies that value ‘sustainability’ and are innovative around this area. Find the value or the idea and build your post around it. The really great companies do this very well on Social Media. 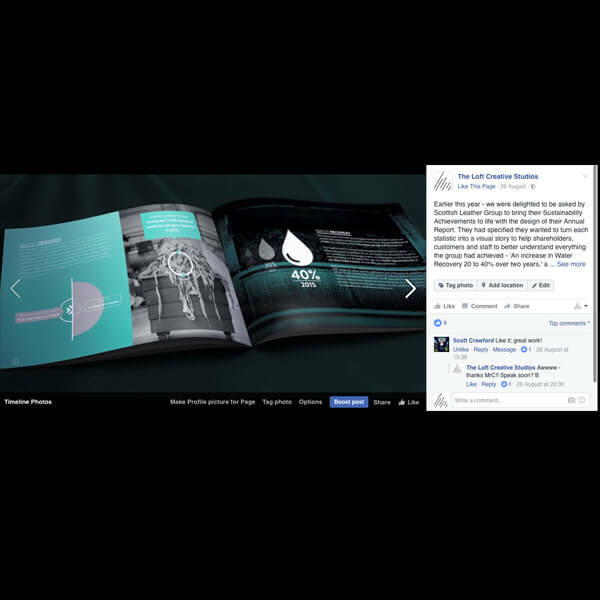 Everyday Athlete, Glasgow are great at showing their values with every single post. Human stories tend to be particularly popular. Celebrating technical attributes or showing thought leadership are both good directions to pursue with social media but human stories such as celebrating ‘service landmarks,’ ‘new-starts,’ or just the good work your team does tend to be more appreciated on social media. Even the most technical companies will have service benefits that apply to human-beings. The more able you are to present the human side of even a highly technical subject – the more likely you are of engaging people with your social posts. Make sure the image you use really tells a story about the post itself. This is important. If you are posting about a particular product, is that product in the foreground of the photo? Does it stand out? If you are posting about an event you are hosting, does the image reflect the nature of the event? One further thing – a more professional, polished image has value, but a slightly rougher image which tells the right story has a greater chance of being understood and properly appreciated by your online audience. Despite this, a little polish is definitely going to help. Your posts will grab more attention. Whether it’s some info-graphics to bring a statistic to life, more professional photography of your team members or some video graphics to illustrate a story. Content that has been presented with more care and attention does stand a greater chance of helping you to engage with others. It is worth getting a designer, photographer or videographer to bring some of your content to life for important posts. However, the real value is in thinking past one post! If you are going to engage a professional – think how you can extend the value of their service? For example, if you hire a photographer to capture the investment your company has made in a new assembly line – then while the photographer is on site – get multiple images which shows different facilities in a little more detail and instead of a single post – create a small campaign from these 6-8 images. 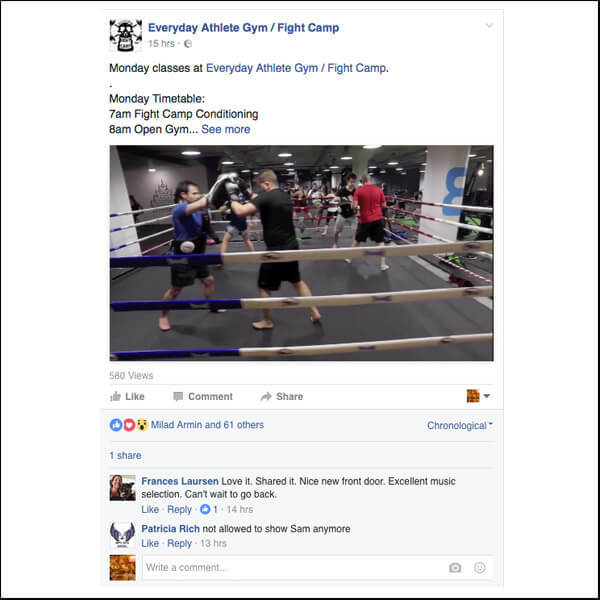 This will help you get a better return on investment and a full campaign worth of content as opposed to one individual post. Leverage the time you have with a professional photographer, copywriter, animator or designer to create as much quality content as possible. These shots were little additions provided by our photographer Malcolm when photographing the entire team. At the end of the day, a lot of this is trial and error – but there are some rules you can use to your advantage. To really help you maximise your posts – we have created a quick cheat sheet which shows the best times, to post, optimal image sizes and character counts. 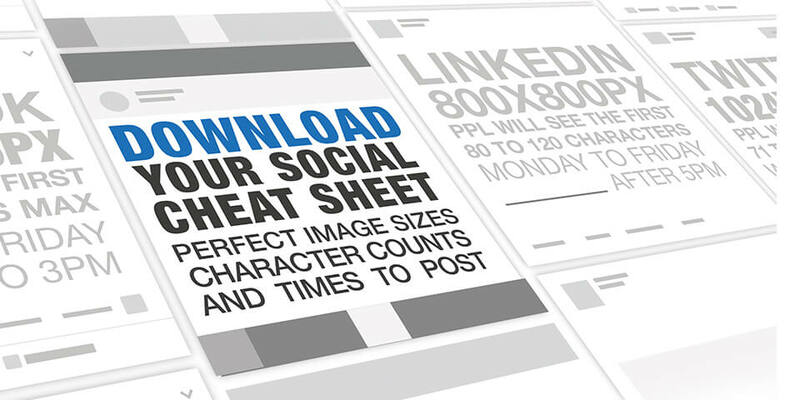 Download this sheet and the information will provide a further boost to your social posts. 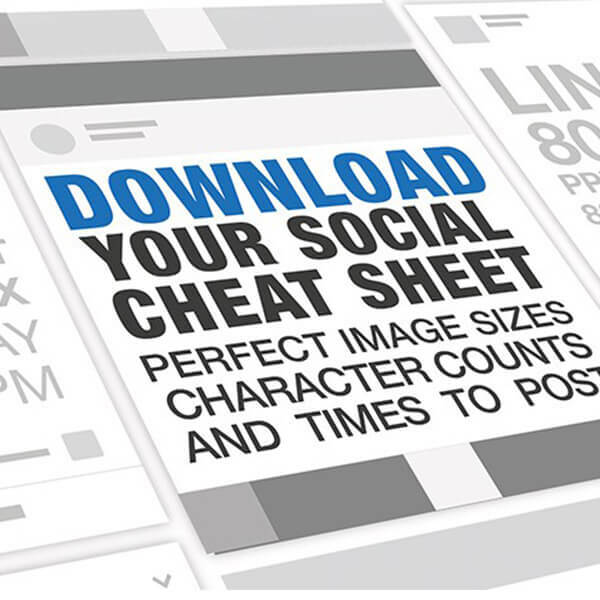 The loft social cheat sheet definitely provides a bit of method to successful posting. If you read our cheat sheet, you will notice that the first few lines of any social post are far and away the most important in grabbing people’s attention. There are definitely some points to be gained by writing a title that everybody understands straight away. Different brands will communicate in different ways but in the absence of any doubt – simple language works best. Understanding over flair. Facebook, Instagram, Twitter, LinkedIn, Snapchat, etc… There are so many different channels now, and it is important to pick the one that works for you. Tools like LinkedIn work well for Business2Business audiences. Instagram or Facebook works better for Business2Consumer audiences. Some are more targeted than others. Aggregate softwares such as Hoot-Suite can occasionally be helpful here too. Technical content can work on B2C channels and light-hearted content can work on B2B channels – give it a go! On that note about maximising all of the channels – make sure you re-use your content too. We spoke earlier on about investing in images, graphics, videos, etc. Once you have these assets, stretch them as far and wide as possible! Get them on your website, use them for your newsletter campaigns. If necessary – use them for print documents such as your annual report or other brochures. This will give you a much greater return for any investment on your marketing outlay. Once again, you have invested the time and energy to create content, got a great image and written a strong post. Your postings may be as successful as you want, they may not be. However, you do have the opportunity to have a few more goes. So many people will have missed your post first time round – don’t be shy and give them another opportunity to engage. You may even wish to hone your posts a little – to see if you can make it stronger 2nd and 3rd times round. You have very little to lose and much to gain. A bit of a whistle-stop tour in how to optimise your social posts – you will find many more technical posts online but we hope that the guide above gives you a practical guide on where to start. Values. They’ll help you hire the best staff, retain the best staff and win tight pitches. They’ll help you make quick decisions and give you the best chance to grow. 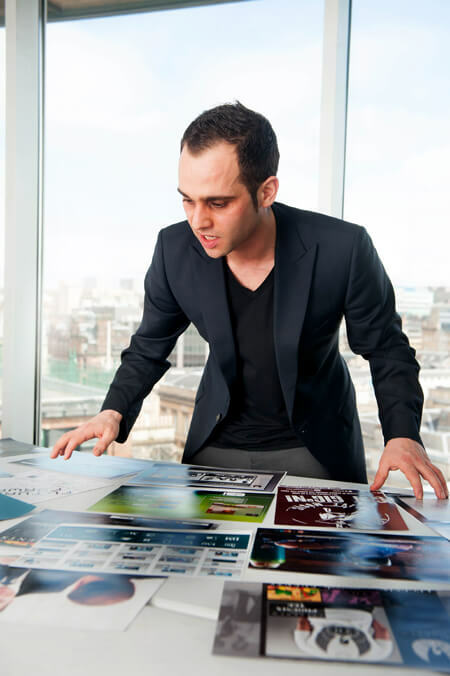 At the loft, we’ve worked with several companies – helping them to develop their values. Sometimes with company owners in isolation, sometime with management teams and sometimes with entire organisations. Questioning them, getting to know them and eventually trying to define who they are. There are many ways to create a set off values, some ways require more time than others, some are more long-term than others. But for this post, we’re sharing a simple method that will allow you to create your very own – right from the get-go. 1. You don’t have to call them values! Not everybody likes the term values – or its sister term – ‘Mission Statement.’ If that’s the case – let’s go for ‘Beliefs’ or how about ‘Who We Are & What We Do.’ Different companies will have different ways of speaking to each other. Choose the language that feels right for you and your company. 2. What do you like about your company? Yes, it is as simple as that. What do you like most about your business? What are the action/behaviours/results that please you the most? Here’s a real tip – look out for are the simple things that people in your team does. a) The staff in our accountancy firm always take the time to walk guests back to the exit in the other side of the building even though there are signs everywhere and they wouldn’t have any problem getting out. 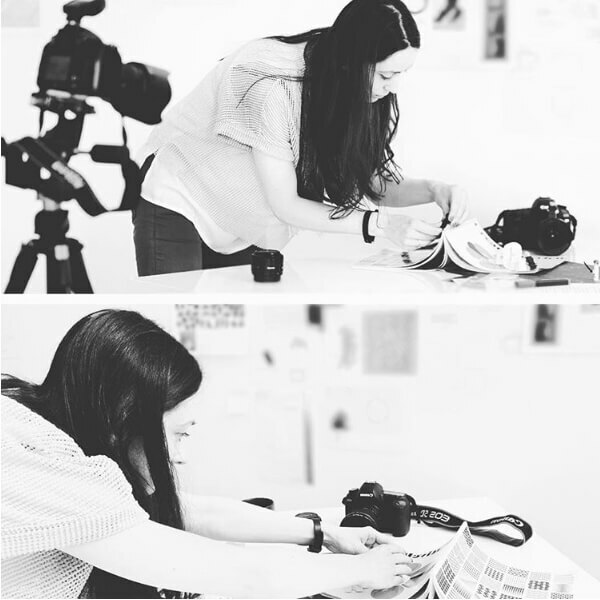 b) Our creative team always delivers to tight deadlines – always! They actually seem to revel in the challenge of a tight deadline. c) Our IT staff are so helpful to customers that when they’re out on-call, they even fix things that aren’t theirs to fix. They just can’t help themselves. d) The analysts in our software company are usually more on-top of legislation changes than the legislators themselves. You can have some real fun by writing them down – you may have hundreds of them. Get them down. (Post-it notes and a big board can be a great prop for these types of exercises.) It’s a great exercise to carry out and you’ll love your business even more after this. Once you have your list of favoured behaviours all down – its time to think of the value that person had that has caused the behaviour. This is how we get your values. If you take the time, suddenly you will have a very impressive first draft. Now you have your list – you have to decide which ones are most important to you and how many you want? Most companies have between 5-7 values. The way you decide to use your values depends on what kind of company you are? You can use them on your website, the entrance to your office, the second page of your tender or on the introductory slide of a presentation. They do help you stand out from others and you are more likely to attract the kind of people and relationships you want into your business. Every company will use their values in different ways and some will take them more seriously than others. Real values-led companies hire/fire/assess staff performance all based on their values. Your values should be updated in-line with the people in the company, within the management team and your own business journey too. We wish you well in creating your values, we hope you get something out of this post and you know where to find us if you would like some help? Creating a brand is a never-ending job, there are many things to be done – getting the messaging right, building your digital presence, ensuring there is consistency through all the channels, getting buy-in from multiple stakeholders, etc, etc. And with each of those questions. Do we do a new website? Is it time for an E-Mail campaign? Shall we revise the photography of the team? What shall we do with social media? At the loft, we believe that the question is usually more important than the answer. Once you have a clear idea of the question you are asking, you suddenly have a focus and a much wider range of options to play with. And that question is always, always, always better when it starts with people and the type of relationship you want them to have with your brand. Great questions are the first part of great solutions. Here are some great examples. Each of the outcomes above have come from projects we’ve worked on – questions that we’ve developed with our clients. They’ve come from people and brands we’ve worked with -helping them to build better relationships with their customers, suppliers or staff – helping them to achieve their commercial goals. One other person who believed in this was Steven Jobs, and after having read his book, there are similarities. When Steve Jobs presented the original i-pod in 2001, he had a slide which showed the question he asked his team to answer? 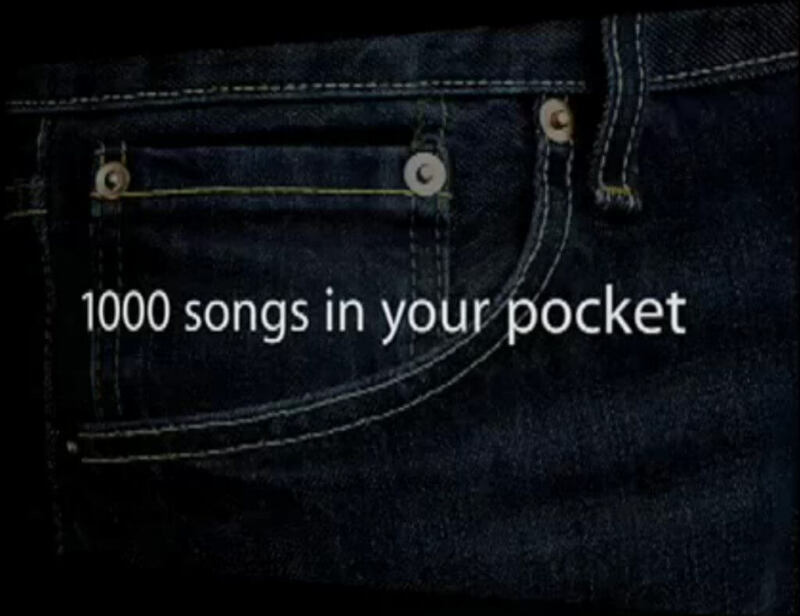 How can we make a device that gives our customers a 1000 songs in their jeans pocket. What a great question. One which was relevant, worthy and had people at its core. Unsurprisingly, a brilliant start to what became a completely game-changing product. Like Apple, solutions also have to be flawlessly executed and there has to be a commitment to answering the question properly but nothing will help you achieve successful outcomes quicker. Not sure about the answer? Think again about the question. I think in a few years time when I look back on the loft and its journey; this last week will be one that lingers in the memory. There were SO many important events this week I wouldn’t even know where to start. But I am going to select three and try to join the dots as I go along. On Monday, I had a very interesting meeting with a partner in a large law firm. We are working more and more with professional service firms and starting to create individual propositions to them each that better serves their needs. Loft Legal will be a specialist brand communication service for law firms looking to strengthen their brand in the marketplace. At this stage, we’re still talking it through with different people and seeing where our services can fit. The meeting on Monday was hugely significant. When asking the legal partner about the company vision and values; not only did he know them off by heart but gave individual examples about how he had applied them in his legal work. This was fantastic, I was impressed by the passion and resourcefulness- my only question, as an aside, was why these examples weren’t more evident on their web-presence but I’ll get back to this part of the story later. Tuesday saw the release of the awe-inspiring ‘LaFerrari’ at the Geneva motor show – outrageous, dramatic, truly-beautiful. There are no words. I love the design of this car; Ferrari has made more ugly cars than beautiful ones in the last twenty years but this one is stunning. Above that the engineering is breathtaking. They’ve built a semi-hybrid powered car that will go to 60mph in less than 3 seconds, weighs less than 1300 kilos and laps Fiorano, the Ferrari test track more than 5 seconds quicker than its predecessor the Enzo. At first I thought, this car is 12 years in the making. But no it’s more than that – the pulling together of all the resources and expertise of a company means this car is 66 years in the making. 66 years of moving the game forward. Of using its pedigree in racing to build faster cars. How do they continue to do this? Ferrari is a small company, tiny on the grand scheme of things. They do not have limitless resources. But Ferrari behaves more like ‘a cause’ than a company. Everybody at Ferrari knows what the company is about and they do a fantastic job of getting this vision across. One of the great aspects of small companies is the compactness of the organisation. The sense of a shared purpose. ‘LaFerrari’ has one or two big innovations but the main body of work is in the details. Thousands of small, iterative details that have been lovingly created to build something out of this world. Collectively they all combine to help form something incredible. Its innovation and passion that lies at the heart of a number of companies – those are also the ones that happen to have the strongest brands in the marketplace. Coincidentally, this was further confirmed on Thursday when Paul Fletcher of Edinburgh University put together a strong presentation on that very subject at Thursday mornings Comms Breakfast. He spoke of the problems with companies being overly-results focussed and why ‘innovation’ is the only way to climb ourselves out of difficult times. But he also spoke of the issues with innovators – difficult to manage or control, disruptive, etc. He even went as far as stating that nobody in the room would have had the patience to deal with a young Steve Jobs in their companies. Difficult to believe as that is. Innovation in itself is difficult to do but I was delighted that he agreed afterwards with my analysis that innovation is fuelled by passion. And that it has to be fostered from the people at the top. The relentless march of progress is driven by people that love what they do and strive for better. It’s present in all of the great causes of our time and is the invisible hand that enables people to drive companies forward. Which takes me back to Monday’s meeting. I am afraid to say that I was unsure if the legal sector would be a good fit for the loft. I was delighted to hear that there are culturally aware firms that were enacting on their vision. I have been saying for a long time that to build stronger brands; Behaviour is more important than words. In this meeting, the passion was evident. Passion which is sometimes difficult to see with legal firms. Imagine the possibilities if you could leverage the entire workforce – all of the junior associates, trainees, partners, managing partners, strategic partners to innovate on behalf of a company’s vision and values? Furthermore, imagine if you could leverage the entire company to communicate this online or offline. From a ‘brand’ point of view. what can be stronger than a passionate 200-300+ brand advocates enthusiastically articulating the company message at events, dinners, when speaking with family and friends, online? Call it advocacy, call it internal marketing, call it whatever but it’s a tremendous opportunity. I only realised on Monday that we may have an opening for ‘Loft-Legal’ and it lies in this area. Having vision is important but it has to be articulated properly. It has to be crystal clear – it’s what the likes of Ferrari do very well. But not just big multinationals you’ll find this sense of purpose in restaurants, engineering firms, charities, etc. They may not use our words – brand, vision, values etc but it’s definitely there. This is an area we can definitely help. My company is ‘design with soul.’ But what is becoming apparent is we need the ‘soul’ bit to come from the client to do great work. What was most exciting about Monday was that we can build a service and proposition with the loft potentially innovating on our own vision. Doing something innovative and delivering something of additional value to clients. Traditional design channels work remains incredibly important – photography, fonts, graphics, motifs, messages etc. We’re amongst the very best at it but I realise that we operate in a hugely competitive marketplace and we must continue to innovate to build a better business. Through the Finance Gap, we’ve got designs on advocacy too. But that’s a story for another day. Like I said, it’s one of those weeks I think I’ll look back on as a significant turning point. Loft Legal has the potential to make an impact for both legal firms, but other professional services too.